Washington, Nov. 11 – Today, our nation observes Veterans’ Day. It is a moment for our country to pause and celebrate the brave men and women who have served in the Armed Forces. This date also is an opportunity to discuss the way our nation cares for veterans. In 2014, multiple scandals brought the harsh light of public scrutiny to the system of care provided to veterans through the Department of Veterans Affairs. Earlier this year, former neurosurgeon and Republican presidential candidate Dr. Ben Carson weighed in on the challenges facing the VA. As Carson pushes ahead in the polls to becoming a GOP’s frontrunner, it is important to examine what the doctor has said about caring for our nation’s veterans. 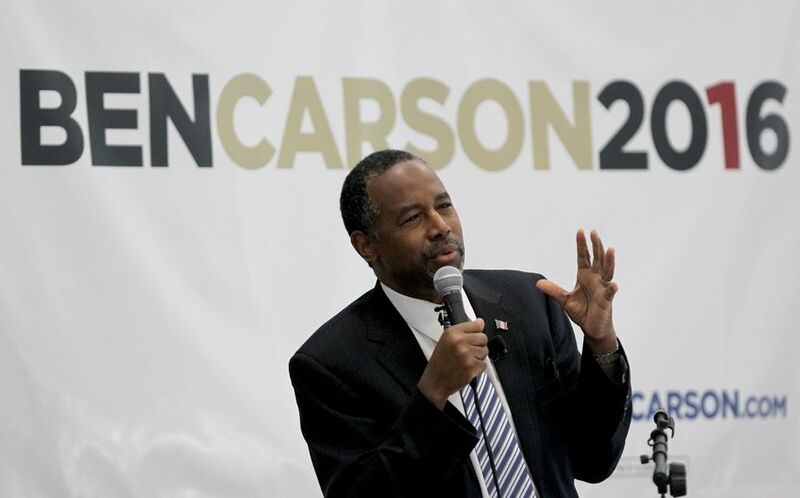 In an op-ed published by USA Today, Carson called for bold reform of the VA. He compared the VA to the DMV. While he described some VA employees as being “committed leaders and servants,” he did not mince words in describing the system as a whole. “Its performance is marred by incompetence and corruption bred by structural impediments and bureaucratic indifference,” Carson wrote. The doctor offered an alternative. His proposals included offering choice through health savings accounts and the option to receive medical care at a nearby DOD, VA or civilian medical facility; portability of healthcare funding; timely responsiveness for disability claims and medical requirements; ensuring specialized care is readily available; and a seamless transition into civilian society. As with many of his political comments, Carson found himself at the focus of disagreements. His call for doing away with the VA quickly drew criticism from many of the nation’s most important veterans’ organization. Two days after Carson’s piece, the heads of several different organizations joined together in an open letter criticizing the neurosurgeon’s comments and calling for a greater understanding of the complexities involved. Joining on the letter were the leaders of Disability American Veterans, Veterans of Foreign Wars, The American Legion, Paralyzed Veterans of America, AMVETS, Iraq and Afghanistan Veterans of America, and the Military Officers Association of America. They were direct in language of the dangers of massive reform. In their letter, these leaders emphasized the Department’s accomplishments in terms of research, practice, and policy. One point they underscored was the ultimate benefit derived by the entire nation from VA medical practices. “The VA’s clinical research programs have helped to improve medical diagnosis, treatment and health outcomes for the entire U.S. population,” they wrote. Such lessons, which emphasize the importance of addressing invisible conditions, can provide a profound benefit to health across the entire country. As with any complex system of organization, there are many things that the VA does well and many challenges that impact the services it provides. The Veterans Health Administration is a system that serves more than 8.3 million customers each year at 150 different medical centers and nearly 1,400 community-based centers in communities across the country. While Carson’s comments speak to the need for improvements in the system, as it exists, the realities of reform are complex and not easily simplified. As we celebrate Veterans Day, it is important to consider the opinions offered by the individuals running for the position of Commander in Chief.